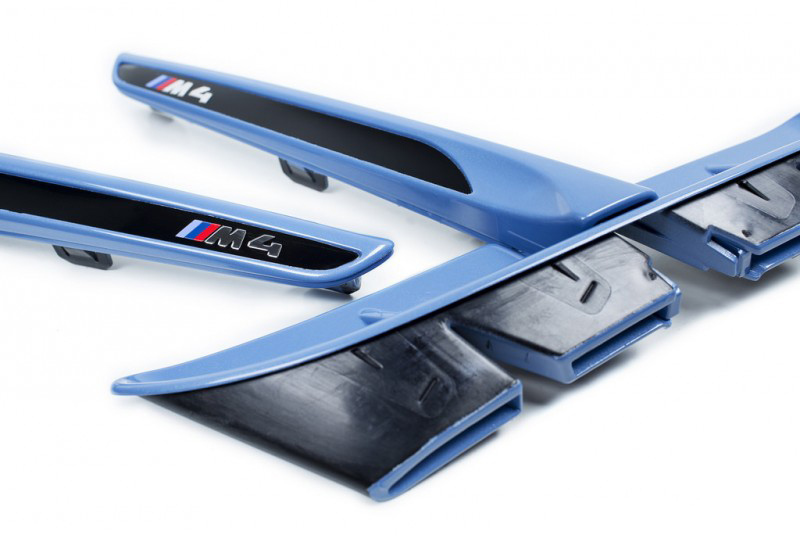 Replacing the boring factory fender vents is one of the more important visual mods you can do for your BMW M4 if you're after a clean look. 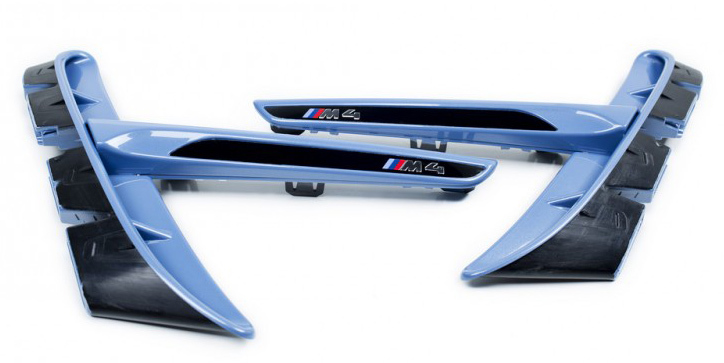 These Painted OEM BMW M4 Fender Vents are genuine BMW parts, just painted to match your factory body color (or a contrasting color for a custom look!). These are direct replacement the replacement of the stock fender vents. 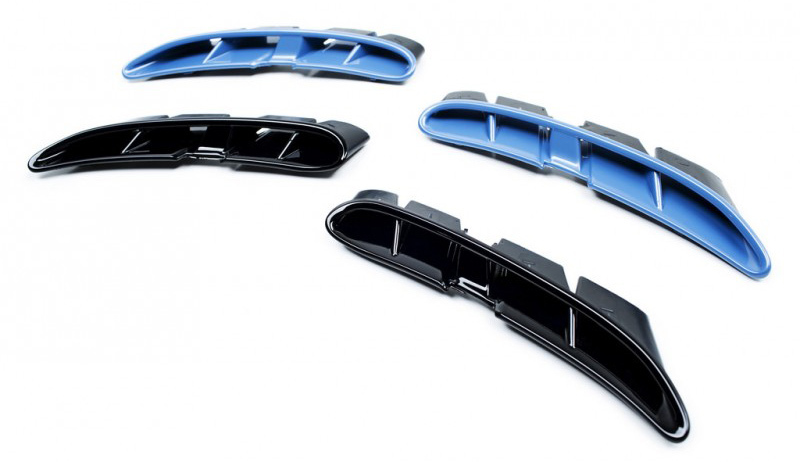 The easy to swap F82/F83 Painted Fender Vents take the place of your non-color matched parts to provide a noticeable visual enhancement. 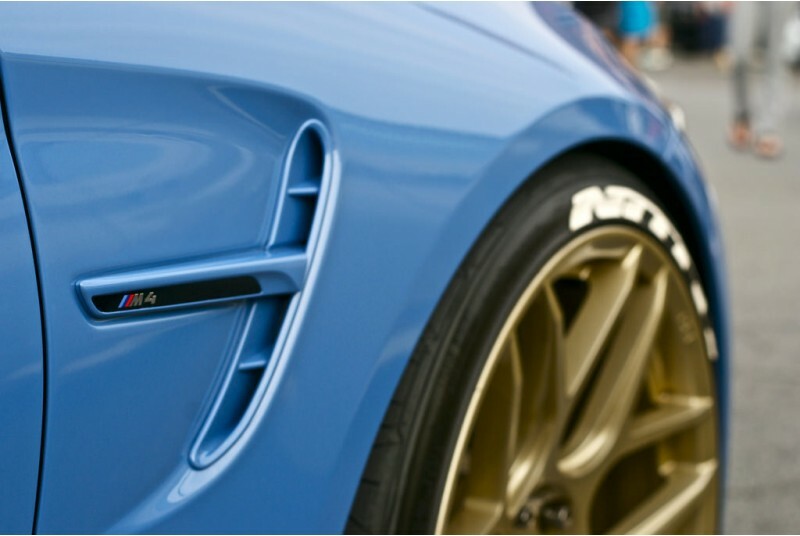 For perfect fitment and paint matching the F82/F83 Painted Fender Vents use factory OEM Fender Vents, and are painted with OEM paint-The same kind used on your car to ensure perfect color matching. 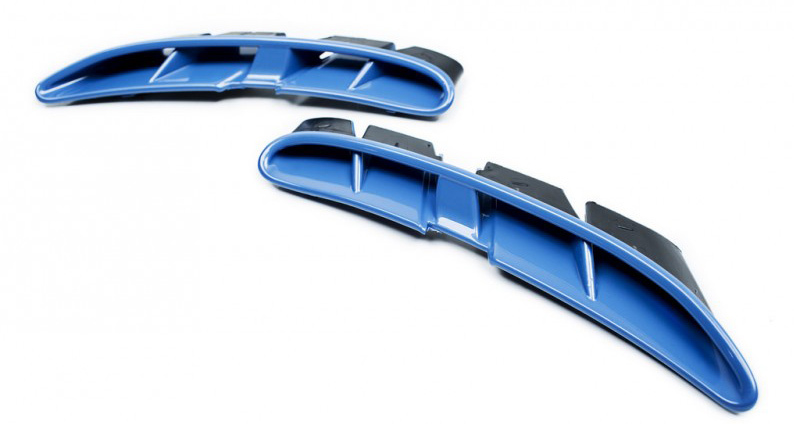 These Fender Vents will fit all 2015+ F82/F83 M4 coupes. Note: Although every effort is made to match your factory color, exposure to the sun and other natural elements may have caused your factory color to have changed slightly over time. 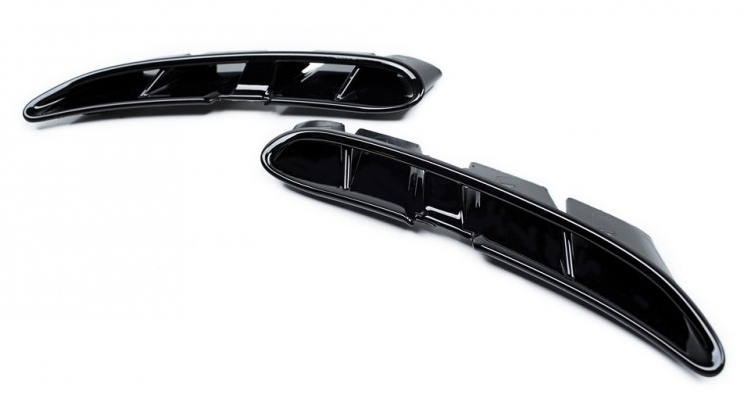 Because of this there may be a slight difference in appearance between your newly painted F82/F83 Fender Vents and your vehicle. If you open the hood you will find that on one of the shock towers, typically this is the passenger side, there will be a black label, on this label will be the color name written in German along with the paint code number at the bottom. Only the numbers before the / are required. This is your paint code.